There’s no bridge crossing the Nile down in Aswan. Many men will flock to you when you’re looking around for a way to the West bank and tell you there is no public ferry, but there is. It should cost 2LE. 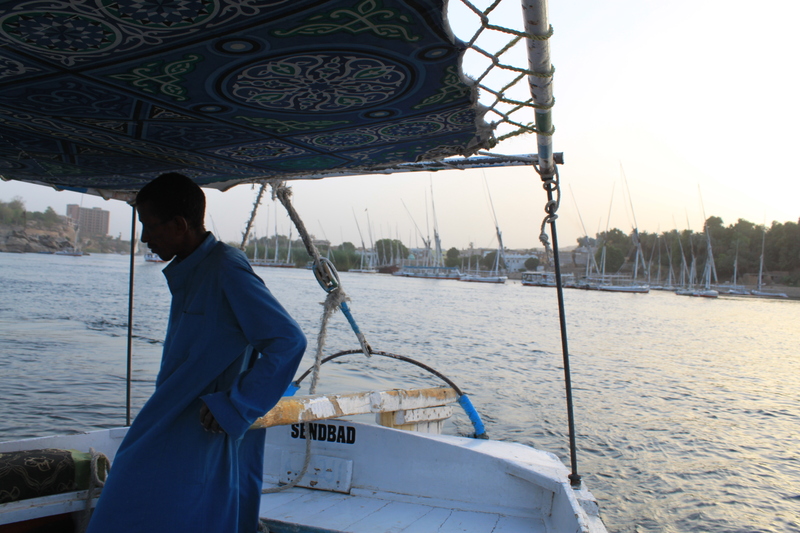 A private felucca ride is certainly fun and relaxing at sunset, for about 40-60LE. You might get serenaded with an old Bob Marley tune. Take your pick.